Any effort that has self-glorification as its final endpoint is bound to end in a disaster. […] When you try to climb a mountain to prove how big you are, you almost never make it. And even if you do it’s a hollow victory. In order to sustain the victory you have to prove yourself again and again in some other way, and again and again and again, driven forever to fill a false image, haunted by the fear that the image is not true and someone will find out. That’s never the way. The book finally explains where the miserable state of mind of the modern society comes from, how people lost their sense of unity with the world and their understanding of life in the fight for more objects to own. The life is not what we think it is and to understand it we have to step outside the normal psychological landscape of the modern man, and stepping outside means becoming insane for those remaining inside. Although one has to agree that insanity and sanity are relative judgements and it is more likely that we are all insane living in the psychological landscape we created and support. Great book. Read it even if you never read anything else. It has it all. 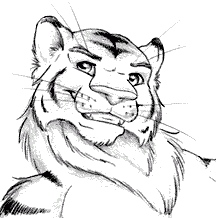 Posted on 2015-01-07 by Tigr. 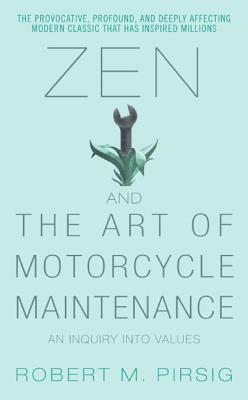 This entry was posted in Books and tagged en, enlightenment, growing up, motorcycle maintenance, philosophy, psychological landscape, Psychology, quality, Robert Pirsig, sanity, self, wisdom, zen. Bookmark the permalink.